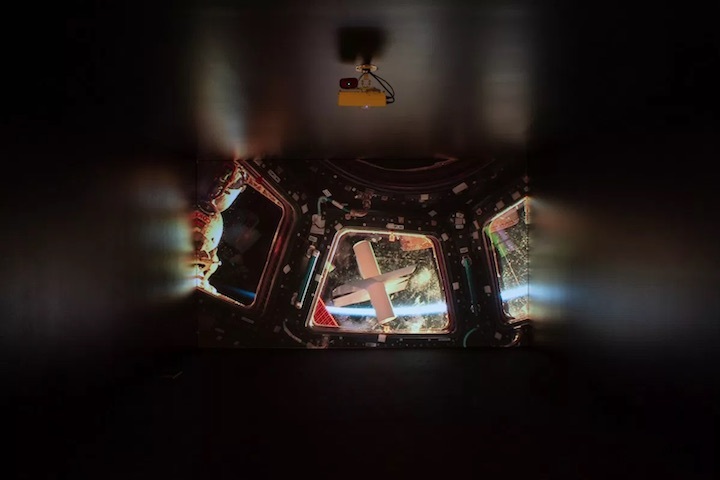 About the show: Inner Telescope is a solo exhibition by Eduardo Kac (pronounced “Katz”) of an artwork created for the conditions of Outer Space. 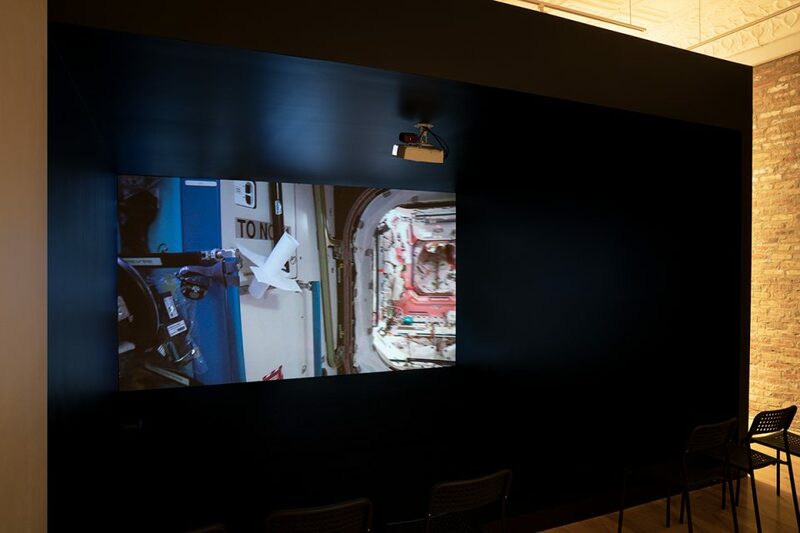 Central to this show is an abstract form of the same name—an Inner Telescope conceived for zero gravity, having neither top nor bottom, neither front nor back, and which was realized aboard the International Space Station by French astronaut Thomas Pesquet in 2017. The form entwines linguistic and figurative representations of the self, separate from the ground they have always relied on. Additional objects in the show further explore the vulnerability and ambition of the human subject without its usual downward tendency. Inner Telescope releases the human from gravity’s constraint to show the inextricable ties between humans and their world. Inner Telescope was produced by L’Observatoire de l’Espace, the cultural lab of the French Space Agency, with support from the European Space Agency and the Carasso Foundation. About the publication: Scripta Volant, Green Lantern Press 2018 publication edited by Fulla Abdul-Jabbar and Caroline Picard, designed by Andrew Lister, and produced on the occasion of the 2018 exhibition Inner Telescope at Sector 2337 in Chicago. Risograph 8.5 x 11 in, 16 pages. Edition of 100, signed and numbered by Kac. Included in Scripta Volant are two stickers and images from the drawing suite Performance for one astronaut, one pair of scissors and two sheets of paper (from the Inner Telescope series), dye-based black ink on acid-free 24 lb. Hammermill paper, 2015, 8.5 x 11 inches each. About the artist: Eduardo Kac is internationally recognized for his telepresence and bio art. A pioneer of telecommunications art in the pre-Web 80s, Eduardo Kac emerged in the early 90s with his radical works combining telerobotics and living organisms. His visionary integration of robotics, biology, and networking explores the fluidity of subject positions in the post-digital world. 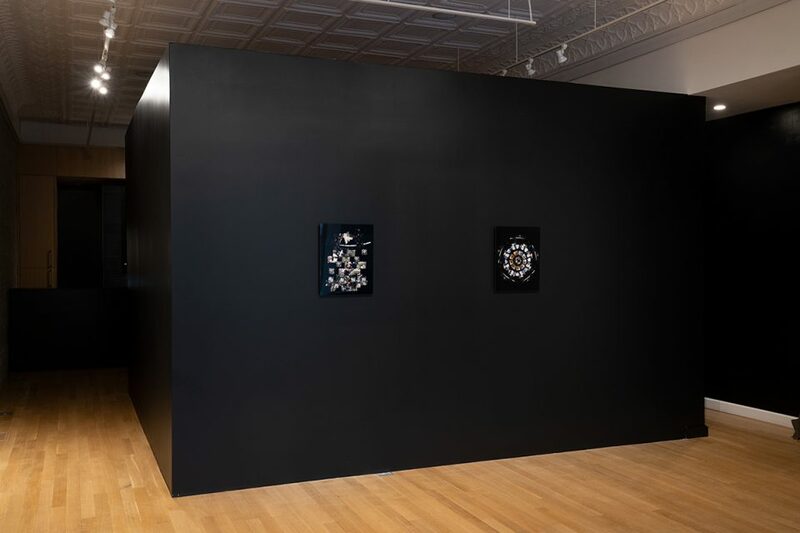 His work deals with issues that range from the mythopoetics of online experience to the cultural impact of biotechnology; from the changing condition of memory in the digital age to distributed collective agency; from the problematic notion of the “exotic” to the creation of life and evolution. At the dawn of the twenty-first century, Kac opened a new direction for contemporary art with his “transgenic art”—first with a groundbreaking piece entitled Genesis (1999), which included an “artist’s gene” he invented, and then with “GFP Bunny,” his fluorescent rabbit called Alba (2000). 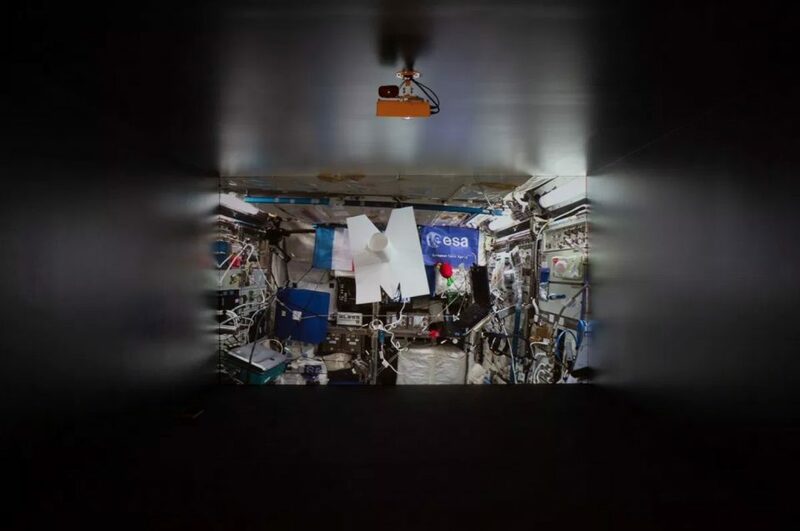 Since the 1980s, Eduardo Kac has been theorizing and producing art and poetry that challenge the limits of gravity. His Space Poetry manifesto was published in 2007. In 2017, Kac finally realized the dream he has pursued for more than 30 years: the creation, production, and experience of a work directly in Outer Space.